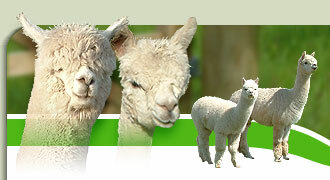 Our Facebook page will keep you up to date with all our latest news, together with pictures and videos of our alpacas. So to get your daily alpaca fix, be sure to like our page and keep coming back. Our customers and good friends, Lee and Sharon Weaver, have set-up a new business, Maybee Glamping, which is fabulous. They are taking bookings now, so if you need to wind down or if you fancy a digital detox, please check them out. While you're staying with them, why not enrol on one of our one day courses? 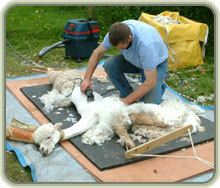 We can offer Getting started with Alpacas, Keeping Poultry and Quit the Rat Race - A guide to becoming a Smallholder. All our courses are £95 per person (£175 per couple) including a light lunch and are delivered in small groups. Contact us to find out more. Each year we expect around 30 births, with the first due in April. We always sell out of male cria and many of our young females are quickly snapped up too. We offer potential owners the chance to register their interest in order to avoid being disappointed. We do this on a first come, first served basis, so if you'd like to secure some stock from us, drop us an email. Like our Facebook page to be first to see pictures of the cria as they hit the ground. We let a local alpaca knitwear business, Alpaca Boutique, have some of our fleece a few years back and they have turned it into a fabulous range of ladies accessories, all 100% made in Wales. They're worth checking out if you like the luxury of alpaca knitwear, or if you're looking for an original, hand crafted gift for someone special. In a UK first, Amazing Alpacas have worked with our Local Authority to commission an Alpaca Crossing roadsign. To find out why the alpacas crossed the road, check out this ITV Wales news report. Resistance to wormers, used to treat internal parasites in livestock, is becoming a problem within the farming sector. The days when you could routinely dose all your animals with a worming product, to offer herd wide protection, are long gone. These days, forward thinking farmers, like us, are using parasite screening to identify if any animals are affected and then treating each one individually, if necessary. 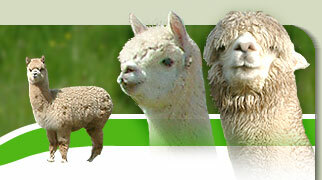 Would you love to own alpacas, but don't have the land or the time? Have a look at our Agistment page to learn how we could make your dream a reality. We manage to get most of our shearing done in mid-May, except for a few heavily pregnant females, who we finish off in June once they've birthed. We also shear around 20 alpacas on our client day. It is nice to catch up with some old friends and, of course, see their alpacas again. I can still remember them as cria - my how they've grown! We've got some lovely young female breeding alpacas on the farm. We have all the colours and they've been mated to our wonderful studs, so next year's cria should be stunning.